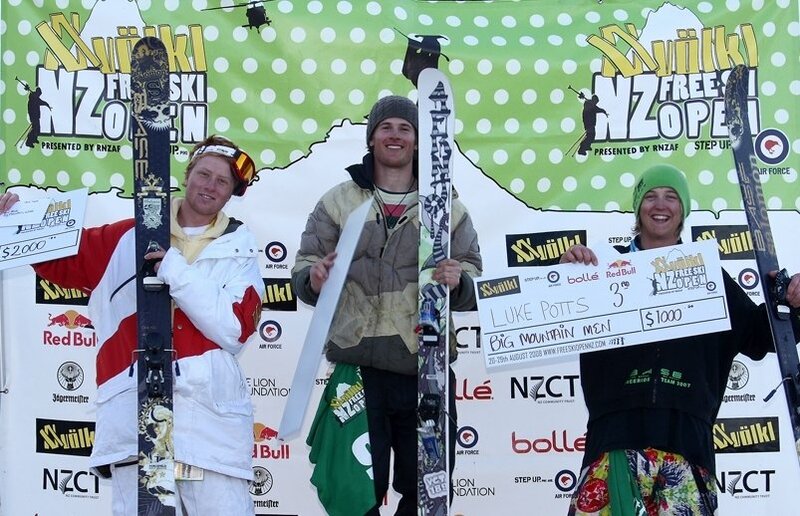 The Volkl NZ Freeski Open by the Royal New Zealand Air Force launched its first competition day with enormous success. Winter X Games superstar Tanner Hall lived up to his reputation taking out first place in the Men&rsquo;s Halfpipe with seven smooth hits including a rightside 900, leftside 900, flatspin 540, ally-oop, flatspin 360, switch 720 &amp; finishing with an ally-oop 900. 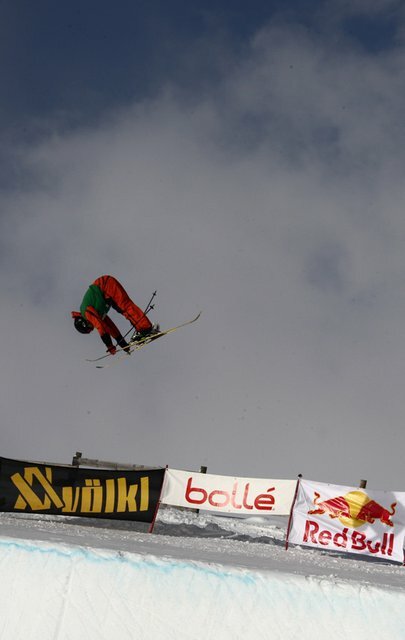 The event was delayed due to heavy snow and wind but as the organizers had expected, the weather eased by midday, allowing for an otherwise perfect competition day. The international field was of the highest standard the Volkl New Zealand Freeski Open has ever seen. International athletes went head to head with determined Southern Hemisphere freeskiers who took the opportunity to step up to the challenge and get noticed. New Zealander Byron Wells shined on his home turf placing fifth as did his younger brother Beau-James who placed 12th.&nbsp; Big Brother Jossi was unable to compete due to injury. Second place went to 2008 World Superpipe Champs runner up Justin Dorey and third place with a breakthrough result went to Walter Wood. Japan dominated the Women&rsquo;s division with Miyuki Hatanaka and Manami Mitsuboshi taking first and third place respectively. Second Place went to Anais Caradeux of France. 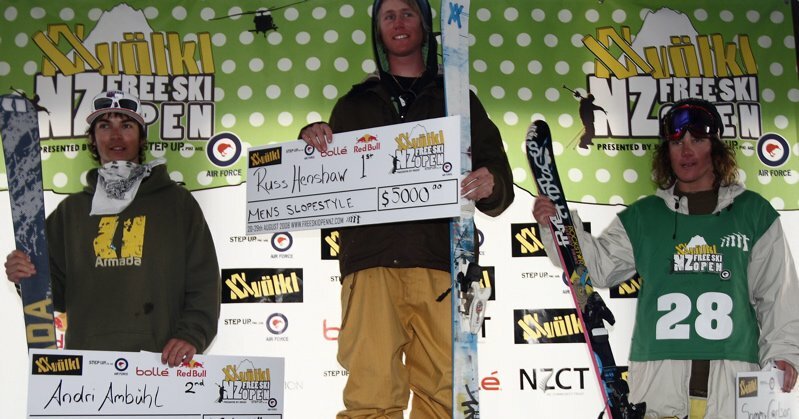 On the second day of competition, Australia&rsquo;s Russ Henshaw took his career to new heights taking the men&rsquo;s slopestyle title at Snow Park. 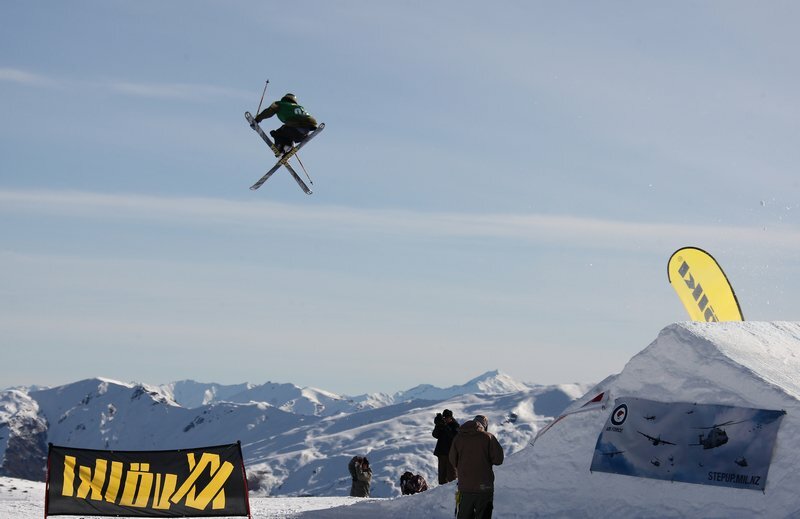 Competitors from around the world flocked to New Zealand for what is fast becoming the traditional opening event of the international skiing calendar, rivalling the US and European Open events as a benchmark in world-class freeski competitions. 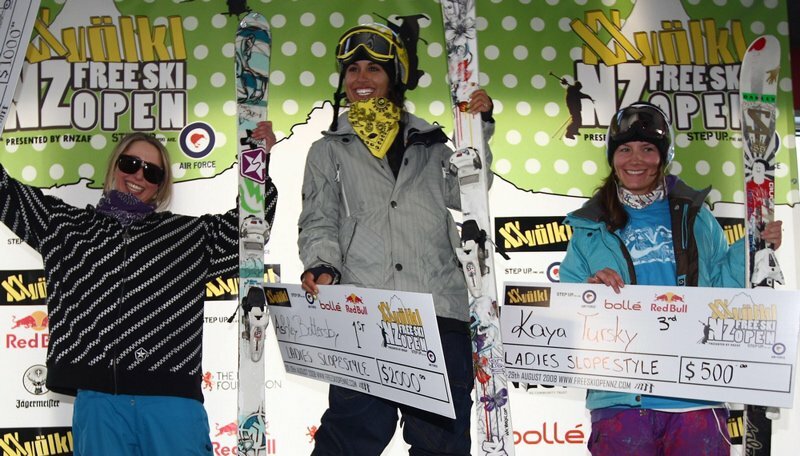 An impressive line-up of the world&rsquo;s best freeskiers competed for their share of the $35,000 prize pool. Henshaw shared the podium with Switzerland&rsquo;s Andri Amb&uuml;hl (2nd) and America&rsquo;s Sammy Carlson (3rd). 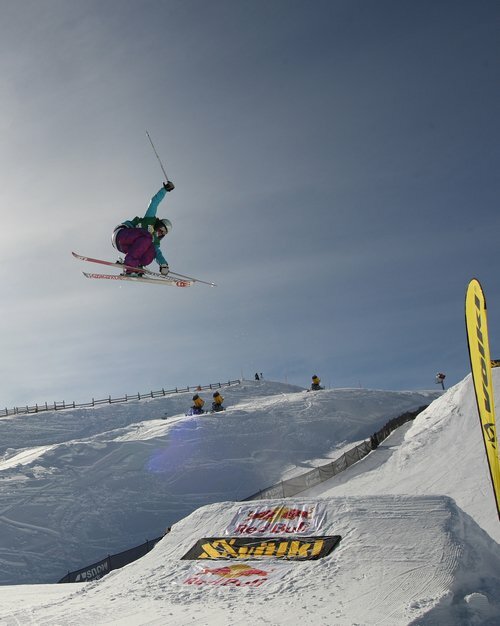 The women&rsquo;s title was won by American Ashley Battersby, whose smooth tricks and overall impressive slopestyle skills took the sport of women&rsquo;s freeskiing to a new level. Aussie Anna Segal was second with Kaya Turski of Canada third. NZ Open halfpipe champion and seven-time X-Games medallist Tanner Hall said events like the Volkl NZ Freeski Open put New Zealand at the forefront of skiing worldwide. Riding conditions were near perfect at Snow Park, under blue skies, on an innovative, challenging course that consisted of a down-rail stair set, then a butter pad/up-rail option, a 55-foot jump, followed by a 70-foot jump leading into two more rail options. 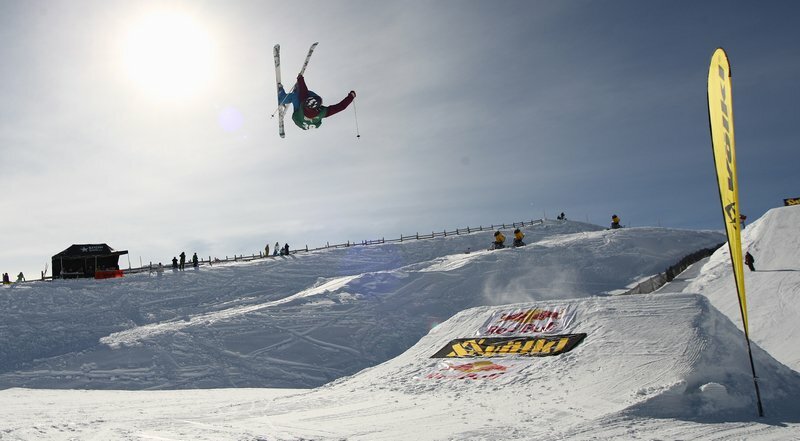 The course was designed by the NZ Freeski Team and Head Coach Nick Draxl, and shaped to perfection by the Snow Park shaping crew. 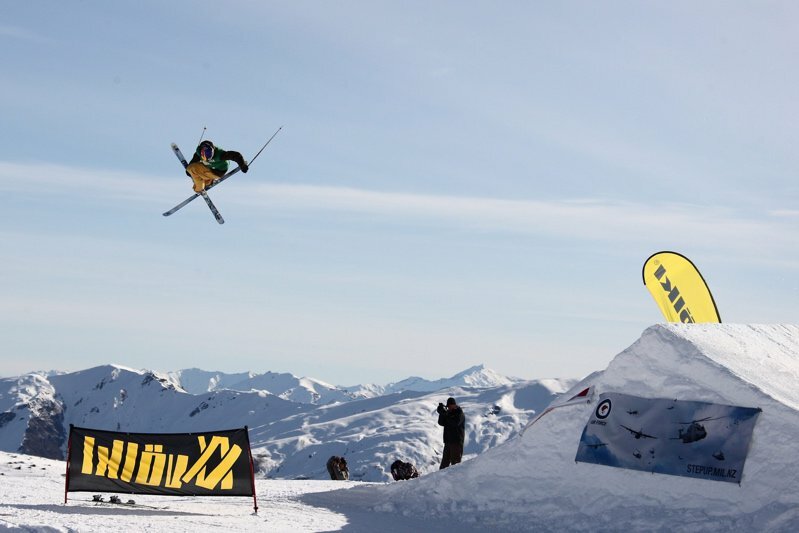 Head X-Games Judge and now NZ Freeski Open Head Judge Josh Loubek, and Austrian event director Alex Zika, had their work cut out for them with the 120 riders that had entered the competition across each of the three disciplines. Loubek was astounded at the level of competition in both the men&rsquo;s and women&rsquo;s divisions. Wanaka local Amy Sheehan finished fifth after an impressive second run and Matt Soundy (Queenstown) finished seventh in front of last years winner Xavier Bertoni of France. 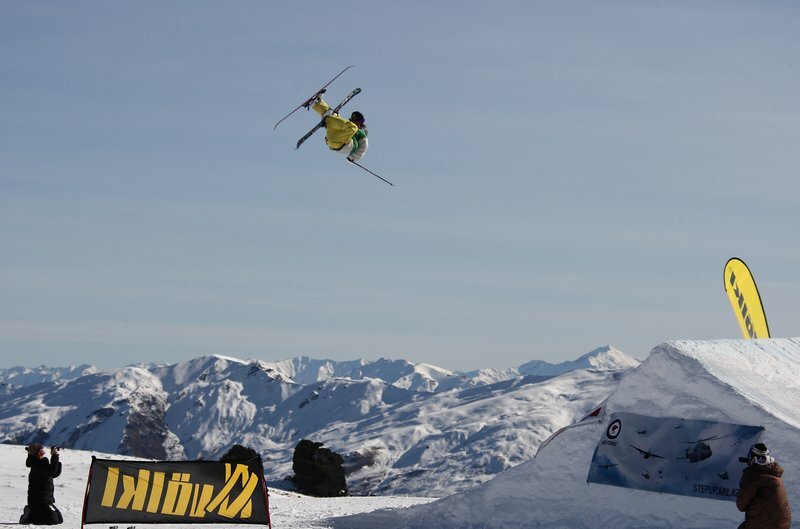 Local freeski hero Jossi Wells of Wanaka was forced to opt out due to wrist and back injuries. His younger brother Byron made it to the finals, finishing 13th. Then on the third and final day of competition New Zealanders Alastair Eason and Janina Kuzma made good on their home turf, taking out the men&rsquo;s and women&rsquo;s Big Mountain titles at Treble Cone. 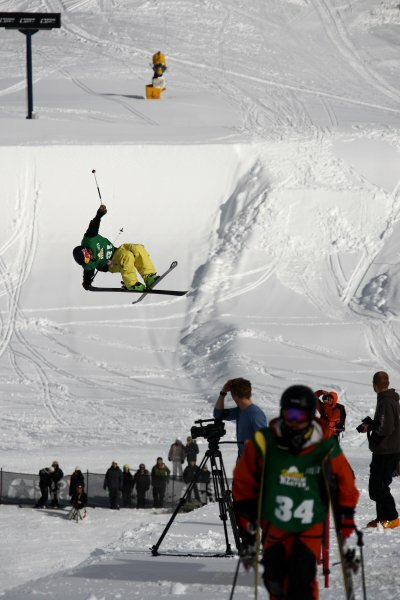 Eason, who breezed through qualifying round in first place at The Remarkables yesterday, secured his victory today by edging out freestyle skier Dane Tudor and third-place finisher Luke Potts. Eason&rsquo;s gutsy line choice brought a roar of applause from the crowd as he put down the smoothest run of the day, highlighted by a series of stomped landings off 15-metre cliffs inTreble Cone&rsquo;s Mototapu Chutes. 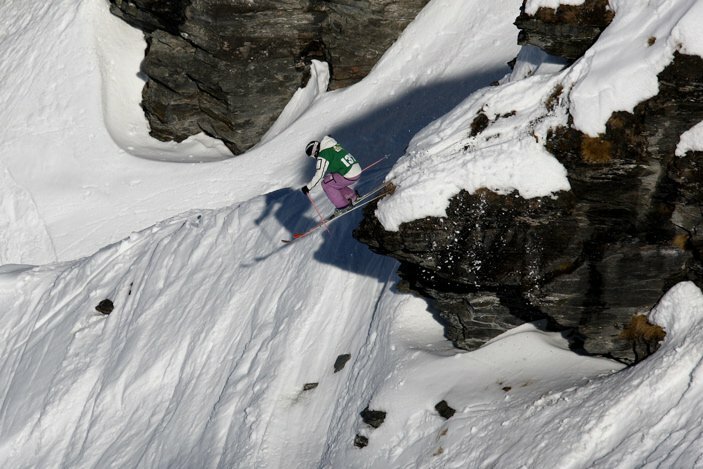 Kuzma&rsquo;s run, in which she scored 80 out of a possible 100 points, featured spectacular cliff drops that most of the other women weren&rsquo;t attempting. 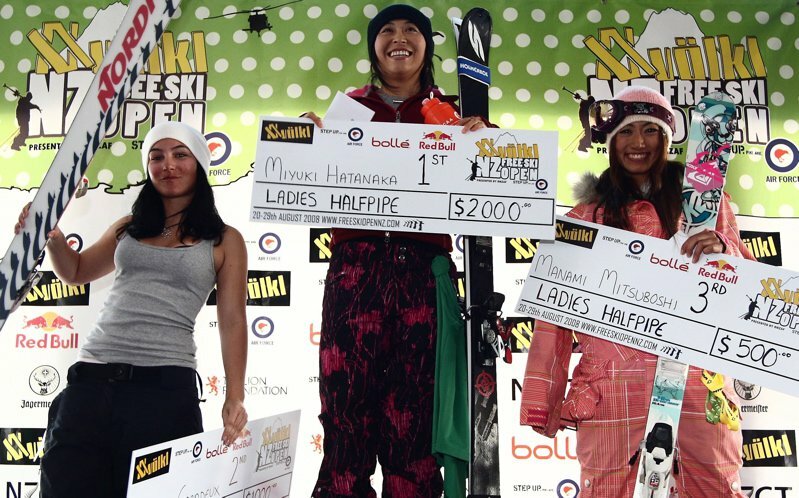 Fifteen year-old Mikayla Austin skied beyond her years into second place, and Lorraine Huber took third. The Big Mountain competition brought together some of the world&rsquo;s top competitors, including Canadian IFSA World Tour Champion Brett Crabtree and former world champion and Wanaka local Geoff Small, who bowed out during qualifying after falling during his run in difficult conditions at The Remarkables on Tuesday. Head competition judge and current president of the International Freeski Association, Jim Jack, made the trip to the South Island of New Zealand to be a part of one of the sport&rsquo;s leading events. 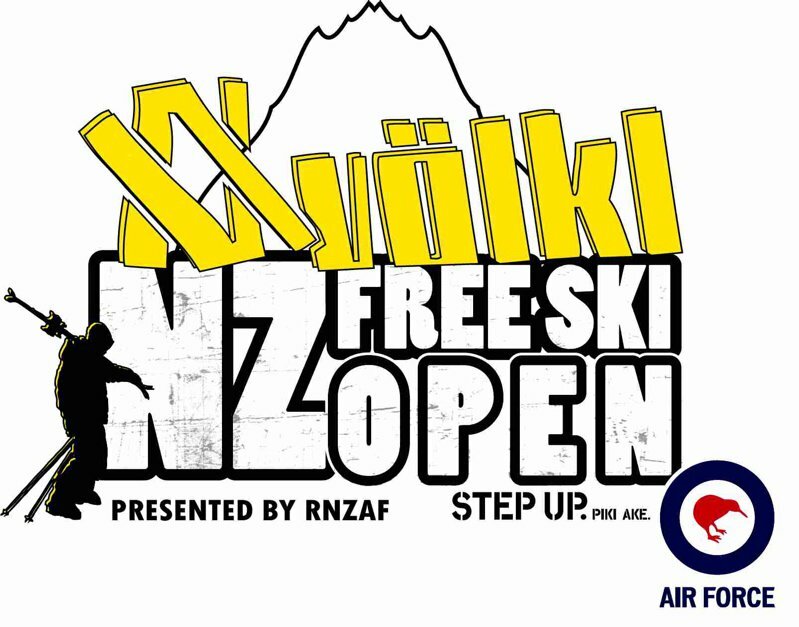 The Volkl NZ Freeski Open was organised and hosted by Snow Sports New Zealand and the Freeski Association New Zealand, with support from the Royal New Zealand Air Force. 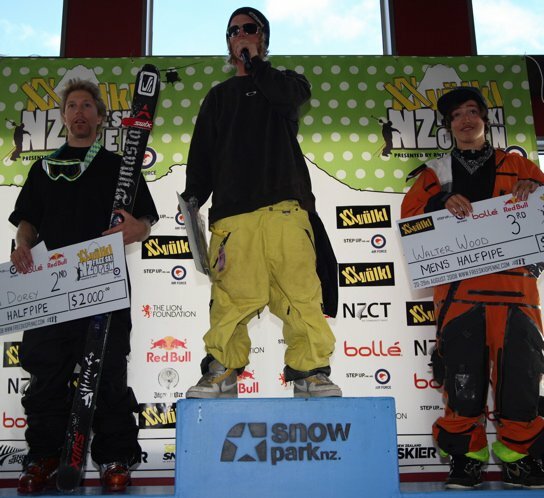 For more information on the event and to see full results, To go to http://www.freeskiopennz.com. Thread: Pro skiers' whose style you don't like. Response: "The whole volkl team"... wait what? Our in-depth review of the Völkl Revolt 95 for 2018-19.